Ad Astra Wet & Dry Cleaning has been keeping clothes, linens and other household materials, clean and fresh since 1950. Dry cleaning is our game, excellent customer service is our promise. 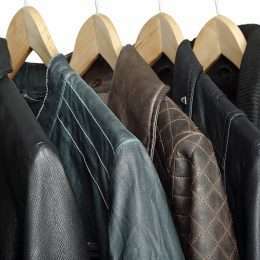 As the most professional dry cleaners in Perth, we pride ourselves on offering you the best, most individualised professional cleaning for clothes service in WA. Our services include dry cleaning, wet cleaning, laundering, repairs and alterations, and much more. Our promise to each customer is to individually assess each item for the most appropriate treatment needed. 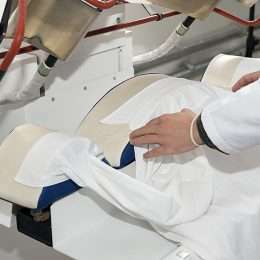 We don’t believe in one size fits all, so at Ad Astra, each article of clothing that comes through our factory door is assessed individually and given specialised treatment using our innovative cleaning solutions. What sets us apart is that we offer FREE pick-up and delivery. We pride ourselves on not only the quality of our service but also the convenience. So when you bring your dry cleaning or laundry in, make sure you enquire about our pick-up and delivery service. Contact us for more information on the best Perth dry cleaners today. Our extensive range of services ensure that every customer that steps through our factory door is satisfied. 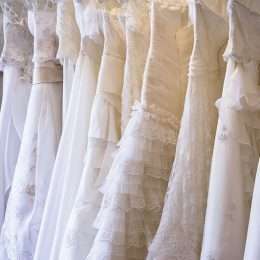 Apart from general dry cleaning, we are also well-known as leather dry cleaners and provide wedding dress dry cleaning too. Leave your expensive clothes, materials and dream dresses with us and we will clean them with care. In addition, we offer a dry cleaning home delivery service, for your ultimate convenience. We offer an A to Z service that is superior in the industry. No job is too big or small, nor too difficult for us to launder. We will even inject freshness back into your household furnishings by laundering and rejuvenating your linen, mattresses, blankets, couch covers, curtain cleaning and more. Are you able to wash the mountain of dirty clothes your household produces but just cannot find time to get around to ironing them? Look no further than Ad Astra’s ironing service, which will save your time and allow you to focus on the more important things in life. Give us your dirty clothes and we’ll return them washed, dried, folded and ready for packing, or wearing. No fuss, just excellent service every time. We offer a great solution for vacuum packing clothes when travelling or for storing clothes away – vacuum sealing. We ensure you are able to keep your clothes in perfect condition in vacuum sealed bags, ready for your trip or for hassle-free storage. From simple fixes to complex repairs and alterations, our team of experienced seamstresses are able to repair or alter any piece of clothing or garment. When in need of a ‘fixer upper’, choose Ad Astra first. When your beloved jackets, coats or furnishings have lost their waterproof abilities, don’t chuck them on the trash heap. At Ad Astra, we are easily able to reapply the waterproofing coating and have them functioning as good as new in no time. Ad Astra is known for our impeccable, innovative cleaning services. Contact us today and we guarantee you won’t be disappointed.